The Super Seniors at Penelope Baptist Church are an active group enjoying meals, fellowship, and worship together. Each month our Seniors meet at the church at 8:30 to go to a local restaurant for breakfast. They enjoy a good time of fellowship with each other and a good meal. Restaurants we frequent include The Snack Bar, Granny's Kitchen, J&S Cafeteria, Jesse's Diner, Cracker Barrel, and West End BBQ. To find out when and where the next monthly breakfast is check out the Events Calendar, The Promoter or the Bulletin. Each month our Seniors join the Pastors for lunch by meeting at the church for lunch at 11:30. Each Senior brings a bag lunch and enjoys a time of fellowship & a short Bible study led by one of the Pastors after the meal. To find out when and where the next Lunch with the Pastors is check out the Events Calendar, The Promoter or the Bulletin. 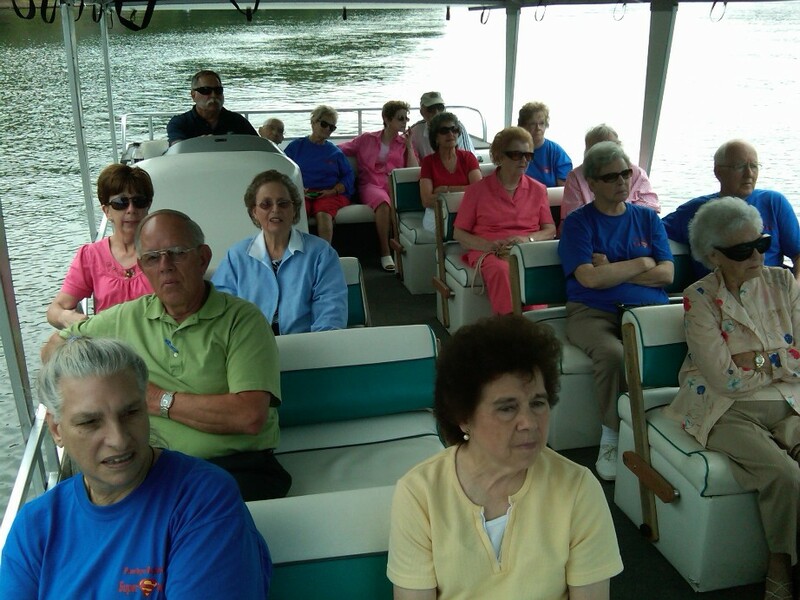 Our Seniors take day trips every other month to various places of interest and normally take in lunch while on the trip. Previous places the Seniors have visited include: The Billy Graham Library, The Popcorn Factory, The Cove at Black Mountain, Mayberry (Mt. Airy), Kings Mountain Battlefield, Price's Park & the Cone Mansion, Shatley Springs, Lake Lure, Asheville Farmer's Market & Samaritan's Purse. To find out when and where the next trip is check out the Events Calendar, The Promoter or the Bulletin. Our Seniors take two retreats each year. In the spring the retreat is held in Pigeon Forge, TN. In the fall the retreat is at Fort Caswell on Oak Island, NC. The Pigeon Forge trip includes taking in shopping and a show and nightly group devotions. The fall retreat is put on by the NC Baptist Assembly at Fort Caswell. It includes music, speakers, games & free time. To find out more about the retreats contact Pastor Nicholas King, pastorking@penelopebaptistchurch.org, at the church office at 322-4237. Each Christmas our Seniors gather together to enjoy a covered dish meal. After the meal the Seniors take fruit baskets to members who are homebound. If you have any questions concerning any of the activities for the Super Seniors contact Pastor Nicholas King at pastorking@penelopebaptistchurch.org or at the church office at 322-4237.